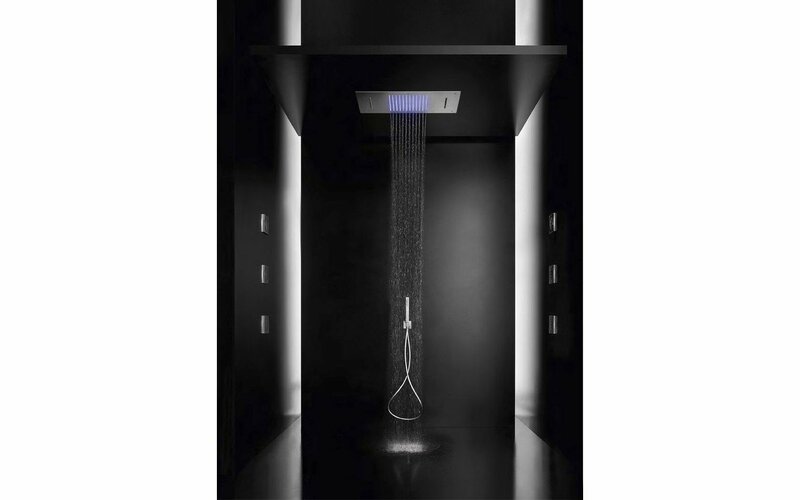 A clean, crisp, streamlined, contemporary addition to any shower in stunning stainless steel. 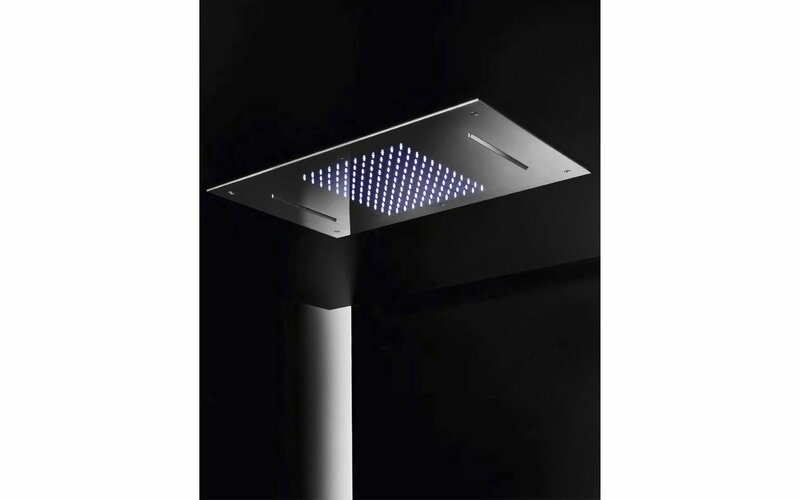 This large, rectangular built-in shower head features a pared back design that is flush-mounted to the ceiling. 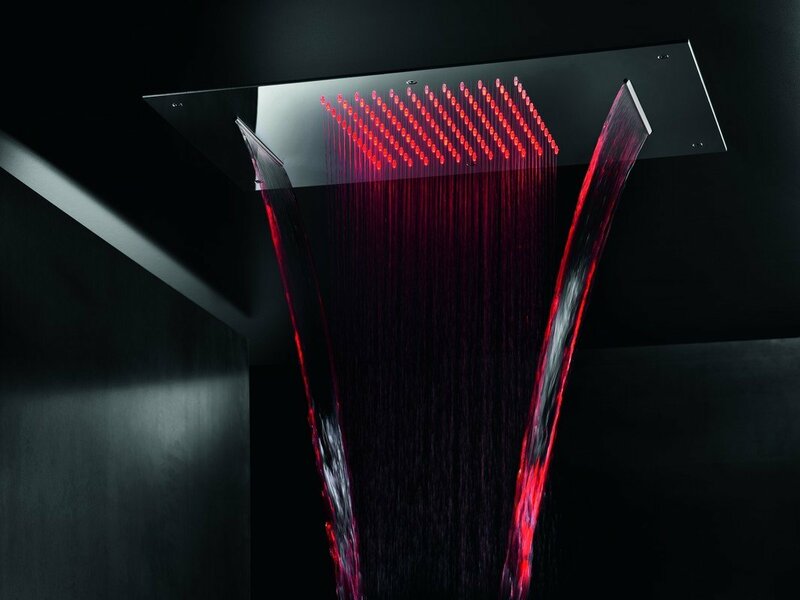 At 27.5" x 15" (700 x 380 mm), it is generous in dimension allowing for a plentiful shower that really refreshes. You will enjoy the choice of two functions – either a soothing overhead rain shower or a dual cascade of water to ease the muscles, cleanse and rejuvenate. Your total showering pleasure is enhanced by the addition of Aquatica’s chromotherapy lighting which is located inside the water jets. This therapy technique uses nine colors of the spectrum in the form of light that flows down in gradually changing hues to balance and harmonize the body’s energy, each color providing benefit to different parts, for example, green for the heart and violet for the top of the head.